When you hit a bump in the road, call an attorney with a passion to help. "Don't ever drink and drive in New Jersey, but if you make the mistake make sure to hire the best, Peter Lederman." Make the first great choice by choosing Peter Lederman. Impressive DWI Resume, Best Around! Best DWI Lawyer of the Century! NJ municipal courts treat you like an ATM: Is it justice or a shakedown? The DWI defense team in the law firm of Davison, Eastman, Muñoz, Lederman & Paone, has access to the firm's attorneys who devote themselves to the firm's core principles: being the best-qualified lawyers in their areas of practice. The attorneys on the DWI defense team endeavor to provide the highest level of representation while assisting those charged with DWI/DUI through the litigation process. 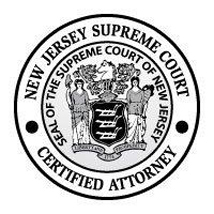 In addition to DWI cases the legal team is involved in the reform of the Municipal Courts of New Jersey and the laws as they relate to Driving While Intoxicated and related offenses. 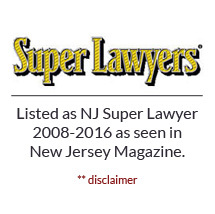 Our DWI defense team also participates in sharing information via: articles, videos, presentations, legal education seminars, and papers to educate New Jersey lawyers on how to best represent defendants in DWI cases. 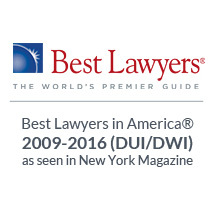 Traits to look for in a New Jersey DWI lawyer and legal representation. "I researched for the best DUI lawyer and came across Mr. Lederman, I had no idea just how great a lawyer and person he is. He is very blunt with you and you may not like some of the things he says at first but after a little while it sinks in and you appreciate the honesty he provides. He is very meticulous and explains step by step how he will work the case which provided such a great sense of ease during my terrible situation. He managed to turn my 2nd DUI into reckless driving which is amazing, there are so many fines/community hours/long term suspensions that I could have received instead. I advise everyone going thru a DUI/DWI case to choose Mr. Lederman, you will be floored by how happy you'll be when you get such a great outcome. Thank you Mr. Lederman and Team!" A great deal of helpful information was exchanged in an in-depth discussion on the reasons people drink and drive and the issues that need to be addressed to curtail the problem. The program also aired on 95.9 WRAT. He spoke with Peter on DWI concerns, including how to improve DWI legislation for those who have been charged. The program aired on Beach Radio WOBM AM 1160 and 1310 and also streamed on 92.7 WOBM. No aspect of this advertisement has been approved by the Supreme Court of New Jersey. The Avvo Rating is their effort to evaluate a lawyer’s background based on the information available in an attorney’s Avvo profile. They create the rating using a model that considers information the lawyer has included on their profile in addition to information collected from public sources like state bar associations and lawyer websites. Any information that affects the Avvo Rating is visible in an attorney’s profile. To learn more about the methodology, visit the Avvo site. No aspect of this advertisement has been approved by the Supreme Court of New Jersey. The method used to compile Best Lawyers remains unchanged since the first edition was compiled more than 28 years ago. Lawyers are chosen for inclusion based solely on a vote of their peers. Listings cannot be bought, and no purchase is required to be included. In this regard, Best Lawyers remains the gold standard of reliability and integrity in lawyer ratings. For additional information on the selection process, click here.